For a limited time, the Citi® Hilton HHonors™ Visa Signature® Card offers 50,000 bonus HHonors points after spending $1,000 on the card in the first four months. Plus earn a $50 statement credit after spending $50 on your first stay at any hotel within the Hilton Portfolio during the first three months of account opening. The 50k bonus points are enough for ten free nights (or more with the 5th night free on award stays) in a Category 1 Hiltons and five free nights in Category 2 Hiltons. I stayed at an awesome DoubleTree in Kuala Lumpur that was a Category 2 Hilton. 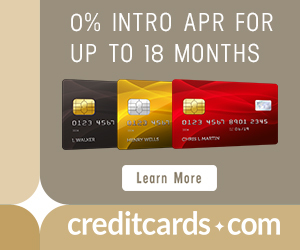 The last big benefit of the card is that it has no annual fee. Very few rewards cards with no annual fee offer so much. But many people will be better off getting the Citi® Hilton HHonors™ Reserve Card with two free weekend nights worldwide at top tier Hiltons after spending $2,500 in four months. The Citi® Hilton HHonors™ Visa Signature® Card has a sign up bonus of 50,000 bonus points after spending $1,000 in four months on the card. Fifty thousand points won’t get you even one night at a top tier Hilton. But it will get you 5-10 nights at the bottom categories, which have some gems. Super reader Jeremy has created the most valuable spreadsheet imaginable for the Hilton HHonors program that you can download for free here. His spreadsheet is sortable by city, state, country, or hotel name (which often starts with the hotel brand.) This can be very useful if you want to know if there is a Category 1 or 2 Hilton on the route of your next trip. The Citi® Hilton HHonors™ Visa Signature® Card comes with Silver Status and the chance to earn Gold Status with four paid Hilton stays in the first 90 days. There are category bonuses for Hilton stays, supermarkets, drugstores, and gas stations though none of them impress me much. The Citi® Hilton HHonors™ Visa Signature® Card has no annual fee ever. For a card that gives you ongoing status, that’s unbeatable. The card does charge a 3% foreign transaction fee, so never use it abroad. The “regular” Hilton card is not for everyone. It should not be the card onto which you put all your spending. It shouldn’t be the card you get for the biggest sign up bonus. It is ideal for folks who want a no-annual-fee card that rewards their loyalty to Hilton. 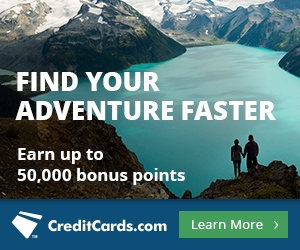 Actually, Citi has publicly offered 60,000 hhonors sign up bonus for $1,000 spend in 4 months as recently as last year. No fee card as well. Only difference is they didn’t give $50 statement credit on hilton spend.